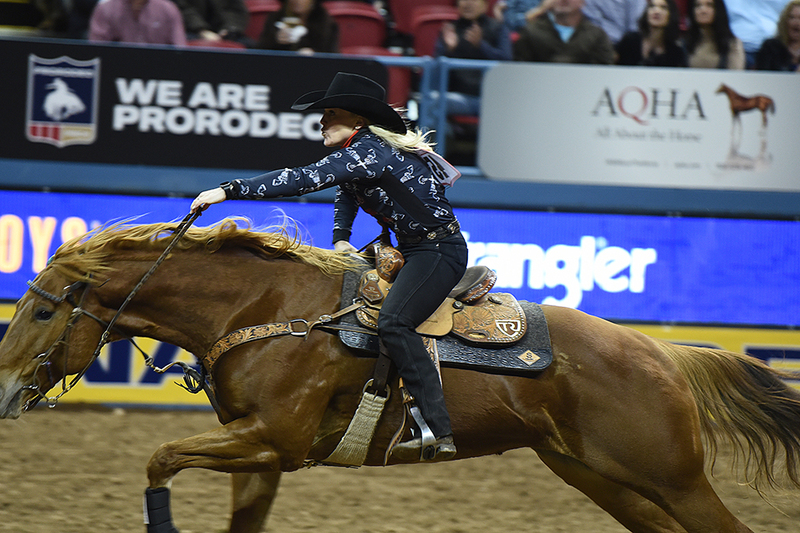 LAS VEGAS – Kylie Weast’s first run at the National Finals Rodeo will always be memorable. 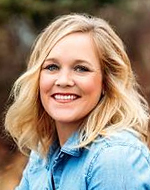 Sprinting down the alleyway and into the Thomas & Mack Center floor is an exhilarating experience for any barrel racer who has ever done it, but Weast made the most of her first experience by rounding the cloverleaf pattern in 13.86 seconds to finish sixth in Thursday’s first go-round. Yes, it was, and so was Hell on the Red, a 6-year-old sorrel mare she calls Reddy. In fact, the speedy mount reared a little as they entered the alley, then went to work. It’s not easy on horses inside that environment, either. The animals can feel the pressure that comes with the NFR, and nearly 17,000 fans were packed into the coliseum to witness ProRodeo’s grand championship. “The atmosphere is just so incredible,” she said. “I realized it was just another rodeo, and my nerves went away. There’s a great amount of pomp and circumstance that comes with competing on the biggest stage in the game. By getting the first round under her belt, Weast now can find time to relax and get into a rhythm. Weast pocketed $4,231 on Thursday night and pushed her season earnings to $114,946. She is eighth in the world standings, but she has nine more nights to improve on that – go-round winners earn more than $26,000 per night. That’s a solid game plan, one that could play huge dividends.